Judy and Bradley Niemeyer designed the foundation blocks used to make the Spurs quilt shown on the cover. 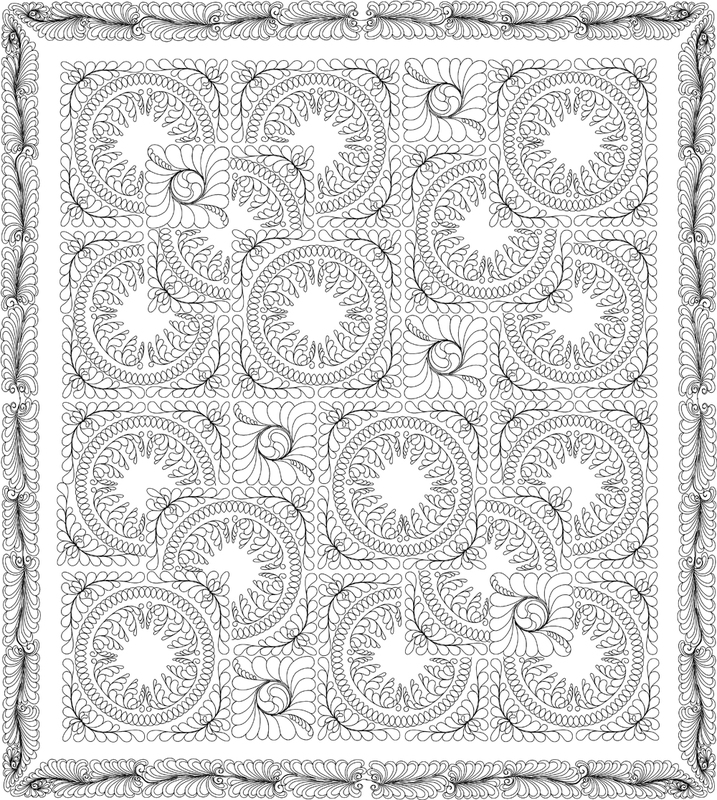 This pattern is an updated version of a pattern we published a few years ago called the Log Cabin Cutout. The original pattern concept was that customers could make a quilt pattern called the Cabin Fever, then reuse sections of the Log Cabin block that were cut away in a new quilt design. The concept was a fun way for customers to make a companion quilt out of the blocks that provided an entirely unique look to a log cabin design but still held elements of a Log Cabin quilt. 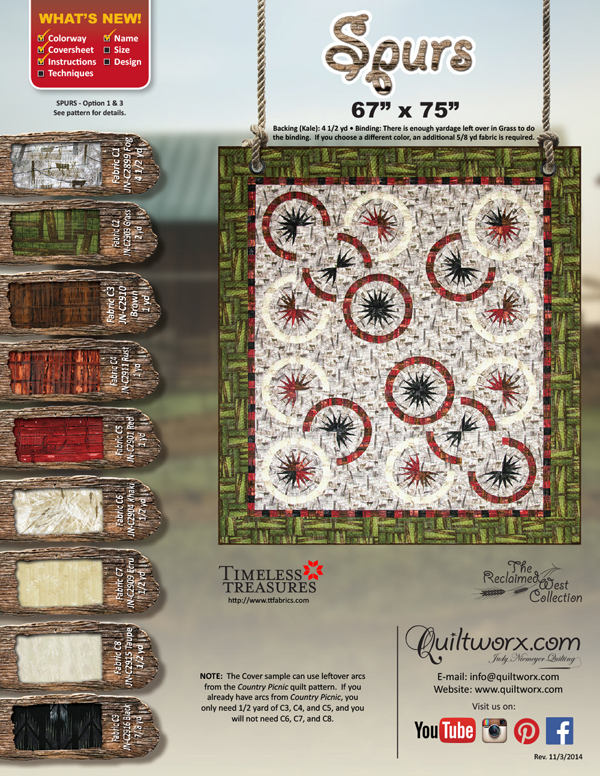 With the release of the Reclaimed West Fabric collection from Timeless Treasures, designed by Judy and Judel Niemeyer, the Cabin Fever was selected as a great quilt design to make utilizing the new fabrics. The Cabin Fever quilt pattern is still on the market, but the evolution of that design with the new fabric line resulted in a new quilt pattern called Country Picnic. 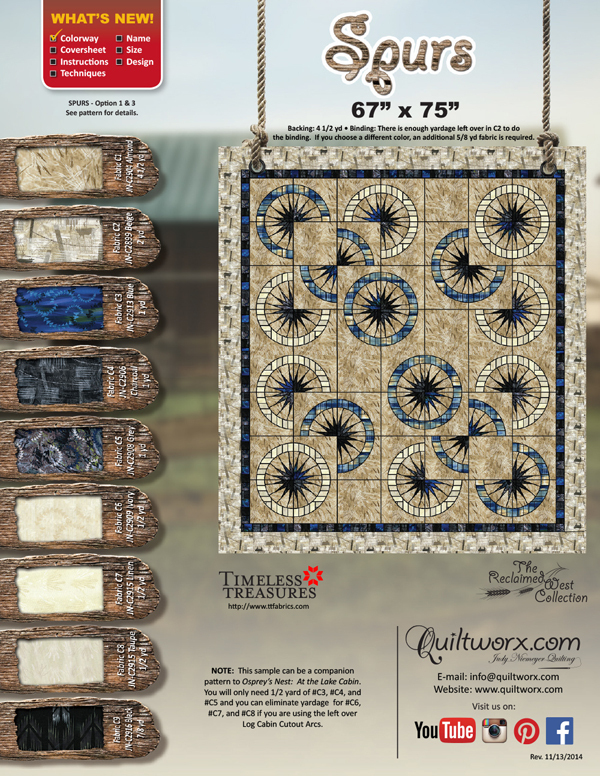 Quiltworx used this opportunity to show off the Log Cabin Cutouts quilt design again, this time, with updated instructions that are more flexible for the customers to make the quilt in a variety of ways, and we gave it a new name. The outcome of this effort is Spurs. 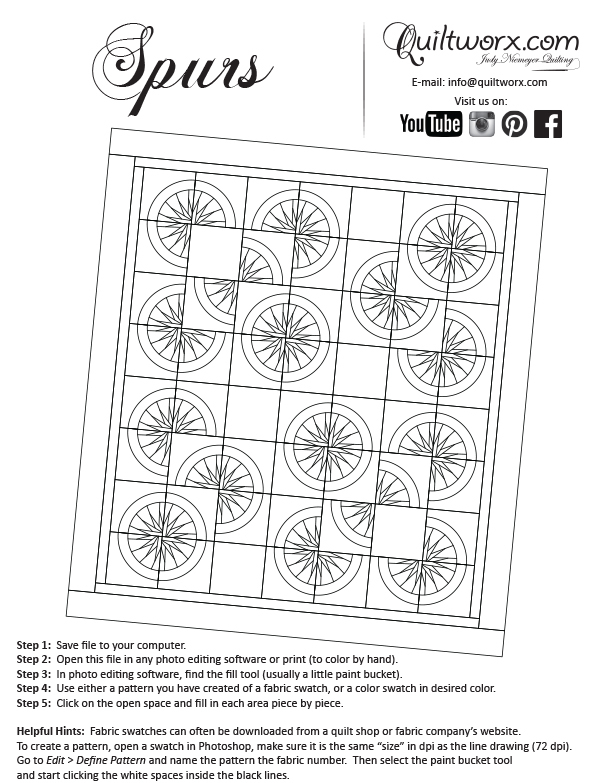 With the publication of Spurs, we will be retiring the Log Cabin Cutouts pattern and selling Spurs in its place. 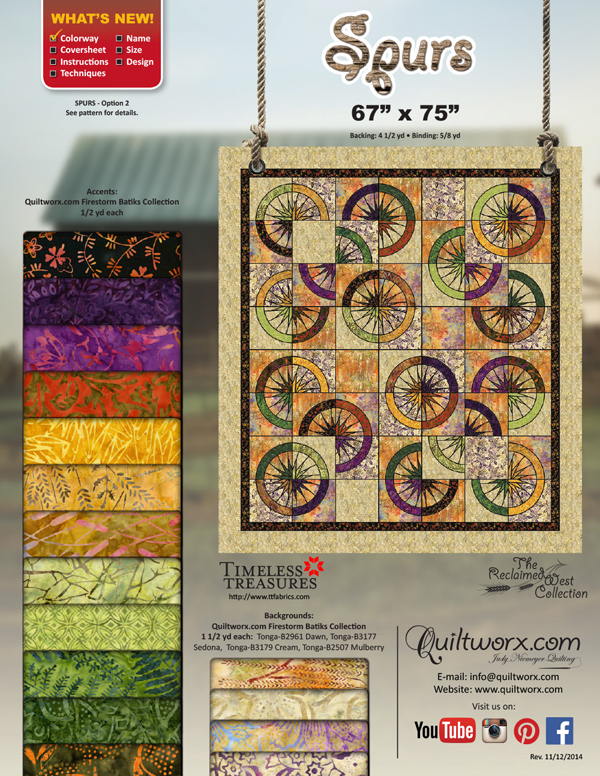 The new pattern allows customers to complete this quilt without doing the cabin fever or Country Picnic (or Osprey’s Nest quilt designs, which also us the cutout concept), and also provides options that that do not involve paper piecing the arcs. 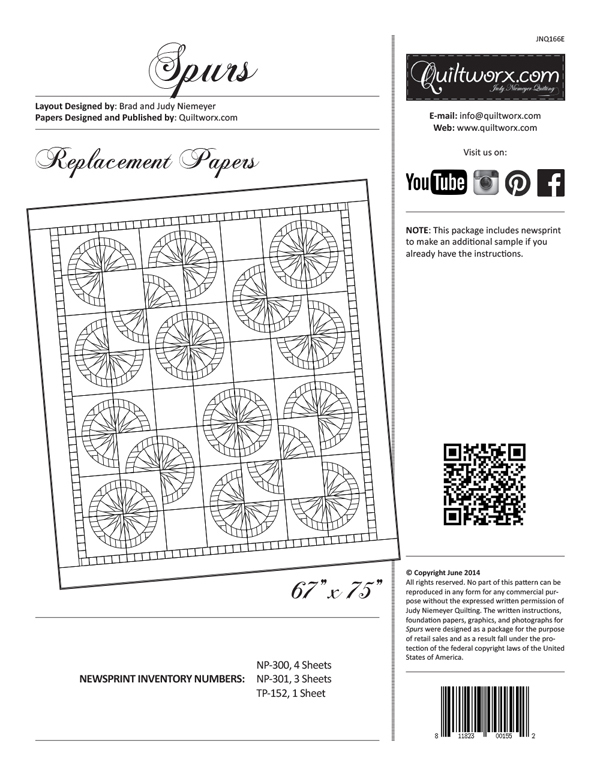 Papers are included in the pattern for paper piecing the stars and also for doing the option paper piecing the arcs in the Log Cabin design. 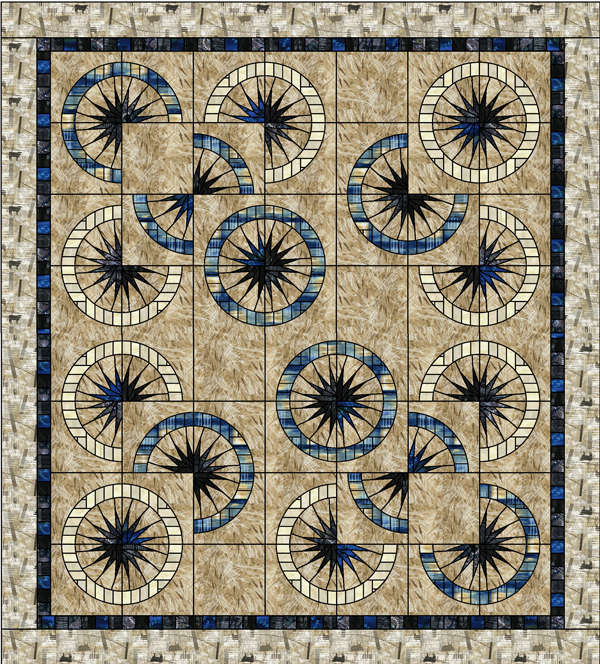 Additionally a variety of yardage and cutting instructions are provided to give the customer the flexibility to make this quilt in a variety of ways! The cover quilt was made by Certified Instructor, Lisa McCarthy, and quilted by Carrie Zizza. Thank you ladies for your time and creativity to make this pattern publication possible! 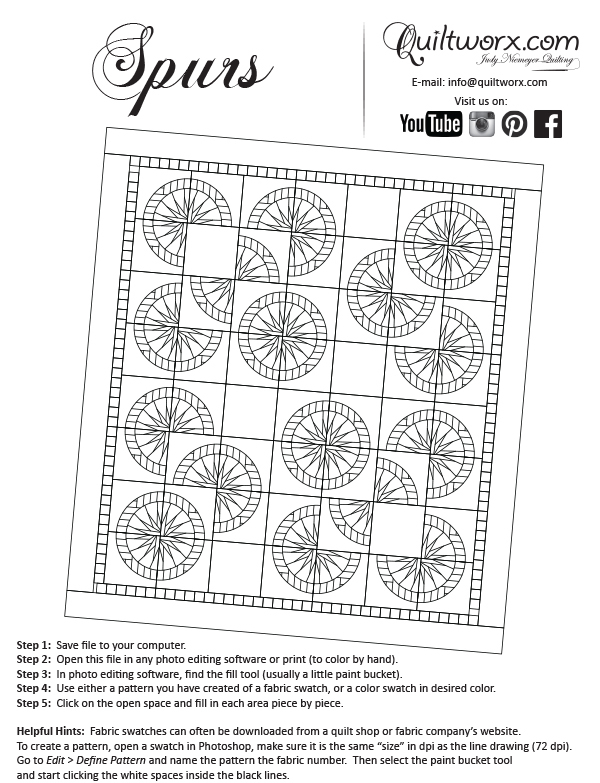 Check the Official Sample Information for kitting handouts of various options for making this quilt! Log Cabin Cutouts, Quiltworx.com, Made by CI Sandy Lueth. Cindy Holland Georgeous...wish I had some talent. Log Cabin Cutouts, Quiltworx.com, Made by CI Deborah Brizendine. Log Cabin Cutouts, Quiltworx.com, Made by CI Kathi Carter. Log Cabin Cutouts, Quiltworx.com, Made by CI Jennfier Eubank. Elaine Itrich Quinn This is awesome..
Susan Lanham Lee Love this! 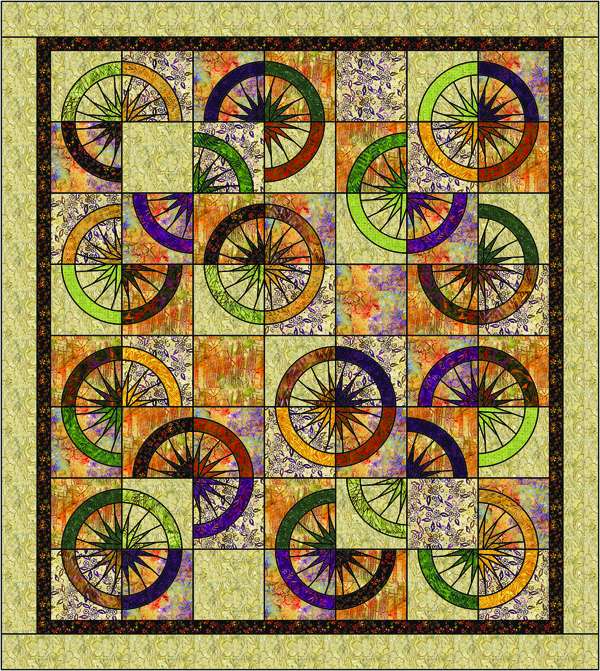 Charlotte Milas I quilt but this looks difficult. Spurs ("Formerly Log Cabin Cutouts") designed by Quiltworx.com, made by Josephine de la Cruz Keasler who will soon be a Certified Instructor. 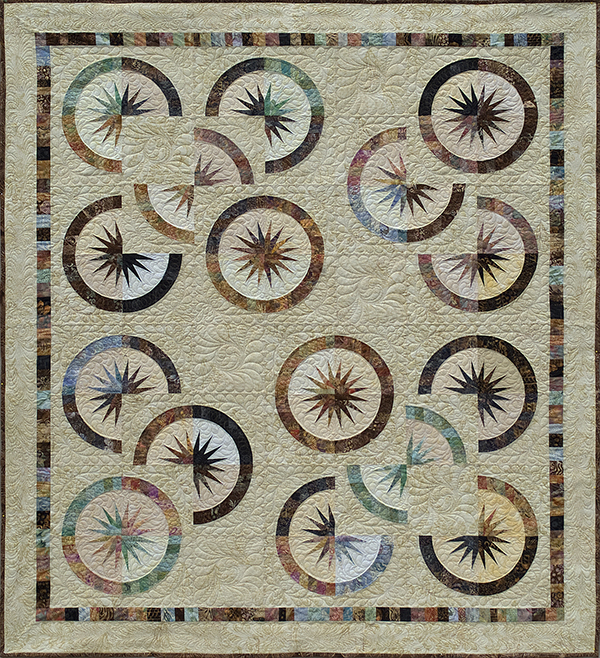 This bold quilt has won two awards so far. A 1st Place at the "Quilting on the Green" Quilt Show in Green River, Wyoming in the Instructors and Professionals Category, and Best of Show at Quilt Wyoming 2015. 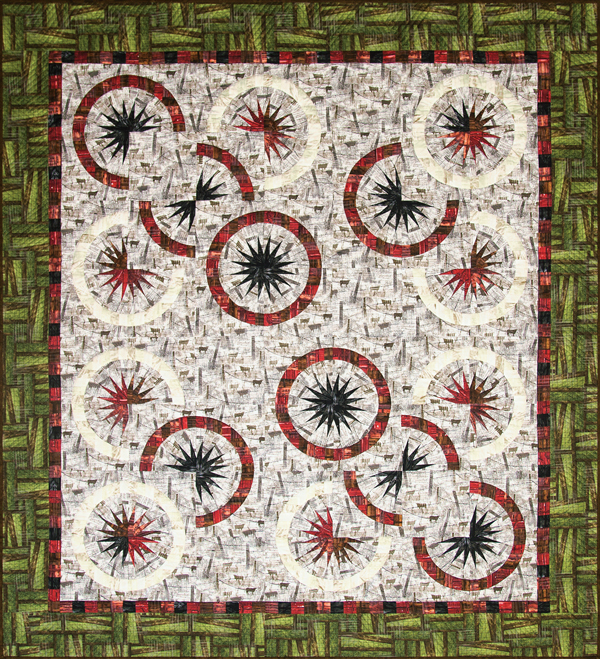 Spurs, Quiltworx.com, Made by CI Josephine Keasler. Paul N Lynn Cartwright Beautiful quilting and quilt! Sharon Duval Quilting is exquisite. Joyce Gascoine The quilting looks amazing! Brenda Barnett Retzlaff Beautiful. I love the quilting. Karrie Ann Youngblood I made and quilted this quilt. ☺️. I made it for Norma. Deb McGuire ooh, I love it! Susan Ojerholm Whiterell Love the quilting! Ann Meyer Love the colors! Gary Mona Shoaff Very pretty!